One of the best last year’s game – The Last of Us – will get the final add-on this week. In order to remind the fans about this fact, the developers have published short, but intensive trailer that shows what you will be able to get if you buy The Last of Us DLC. 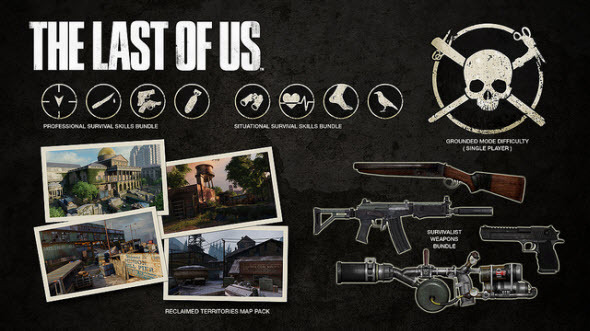 We have already described the details of the final The Last of Us DLC, which you can find in our previous article, but let us remind you them in a few words. The add-on will consist of several packs, and each one can be purchased separately. They include new amazing maps for the multiplayer mode, several additional weapons, exciting skills and one difficulty level. The Season Pass owners will be able to get new The Last of Us DLC for free, while others need to pay from $4 to $10 for each pack. The add-on will be available via the PlayStation Store starting from tomorrow, the 6th of May. The new trailer, which was published on PlayStation YouTube channel about an hour ago, shows us all bonuses from The Last of Us DLC. Here you will be able to get a glimpse of four maps, see the new guns in action and understand how to use the additional skills. Are you going to buy The Last of Us DLC? Do you like this game and its additional content? Your comments are always welcomed at the bottom of the page.